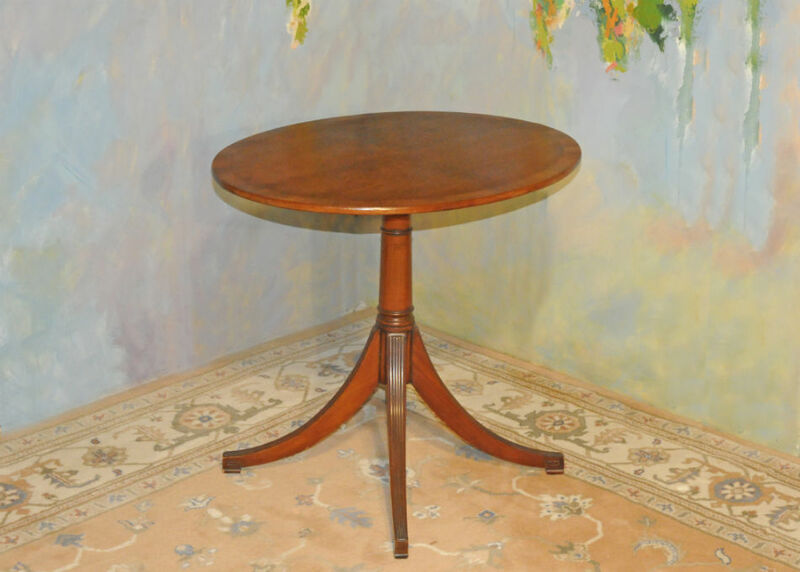 Vintage Oval Table – 4-way book matched walnut veneer top with rosewood banding. Duncan Phyfe style and professional refinishing. Original metal makers plate underneath. 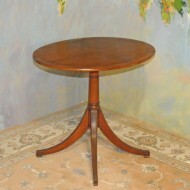 Great game, end or center table.